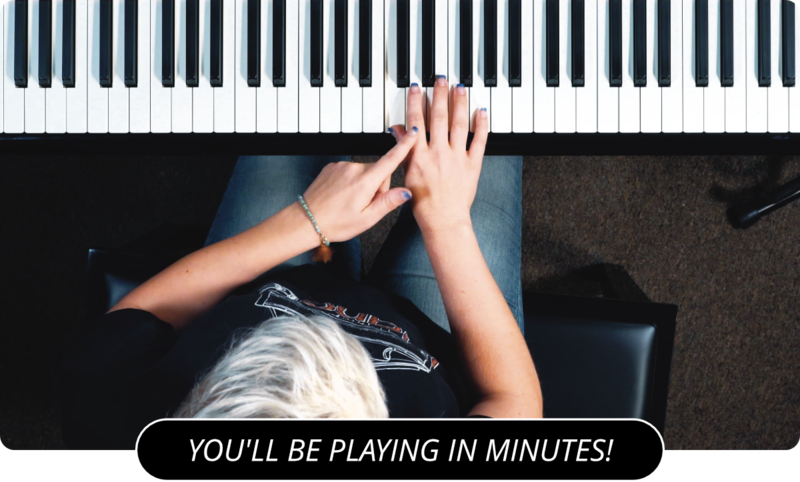 Learn How To Play The C Minor Harmonic Scale On Piano! Let's talk today about the C Minor Harmonic scale. The C minor harmonic consists of the notes C, D, E flat, F, G, A, flat, B, and C.
For your right hand, you start playing the C minor harmonic scale with your thumb on the C. When your third finger gets to the E flat, cross your thumb under to hit the F. Continue up the scale and finish up with your pinky on the C octave. Walk back down the same way. The left hand starts on the pinky finger and plays until the thumb hits the G. Cross your third finger over to hit the A flat and finish the upward climb with your thumb on the C. On the way back down, cross your thumb under your third finger to hit the G and continue down. For the next lesson, check out the C Minor Melodic Piano Scale .